A view of the Boston skyline heading outbound from Boston Harbor aboard the New England Whale Watch. To sum up my experience in Boston, MA in a single blog post is a daunting feat, namely because no combination of multimedia and the written word will ever truly encapsulate a travel experience. 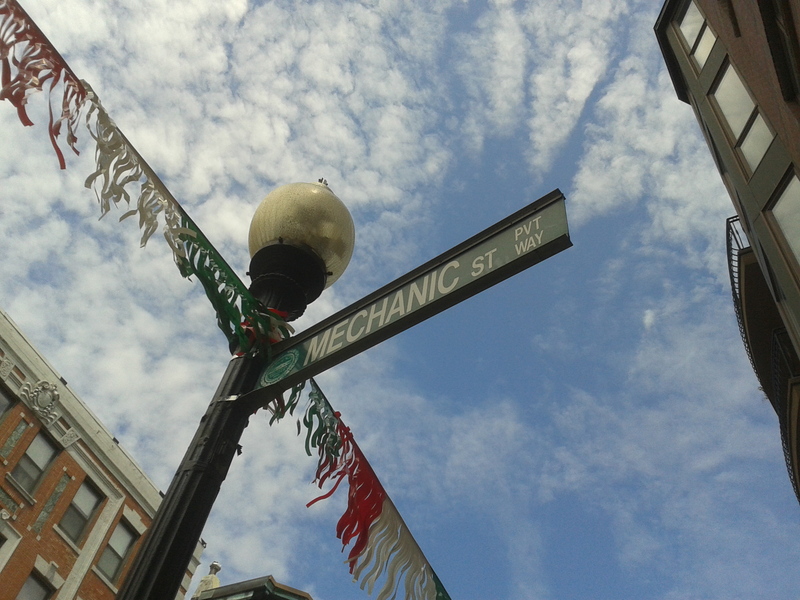 At an intersection in the Italian district of Boston. I journeyed to Boston with The Reporter, the student newspaper for Miami Dade College which I’m an editor and staff writer for. 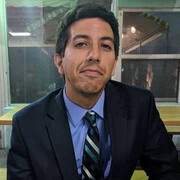 The occasion was the 2014 National Association of Black Journalists (NABJ) convention, which hosts a variety of journalism-related workshops aimed mostly towards professional wishing to develop their skill set. But the convention was really the excuse for a six day trip to one of America’s most historic cities, one that encapsulates what it means to be a part of this country more than any other place I’ve visited. Delightfully preserved buildings from the Revolutionary era, cobblestone roads, a 20th century subway system that’s still in operation, and a slew of eateries and locations that reek of age all hold their own alongside modern skyscrapers in a bustling Downtown that’s clearly at capacity with a never-ending stream of automobiles, pedestrians and cyclists trudging through crowded streets. 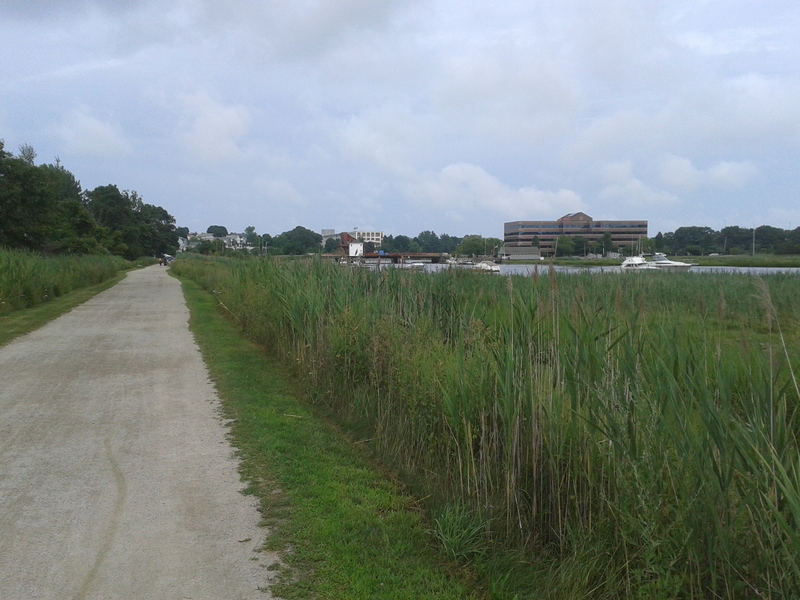 A view of the Neponset Reservation outside Boston. As a Miamian used to flat terrain and high, nearly year-round humidity, Boston’s abundance of slopes and its pleasant summertime weather formed a clearly different but nonetheless inviting atmosphere. As a an avid cyclist, I was immediately attracted to the city’s Hubway bike sharing program and the sheer number of cyclists on Boston’s streets. Bike lanes and signage are plentiful here, unlike a dwindling amount of Miami thoroughways. 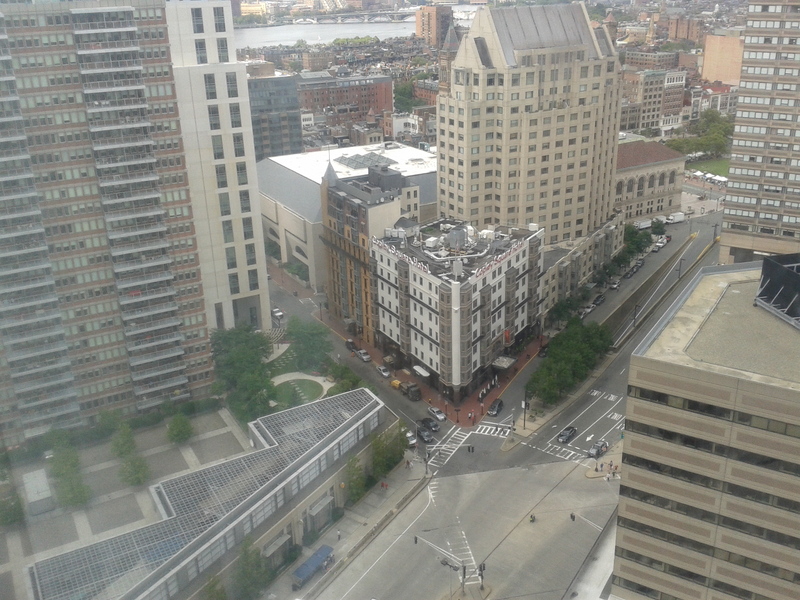 A view of Downtown Boston from the 24th floor of the Marriott near Copley. As a public transportation enthusiast, I immediately began drawing parallels to Miami’s Metrorail system the moment I boarded a Green Line train due outbound from Copley Square. A much older system, the Massachussetts Bay Transportation Authority’s subway, commuter rail and bus system shows its age but is patronized much more than Miami’s more modern Metrorail, likely due to Boston’s high density city plan. Nothing about Boston, however, took me more than its waters. 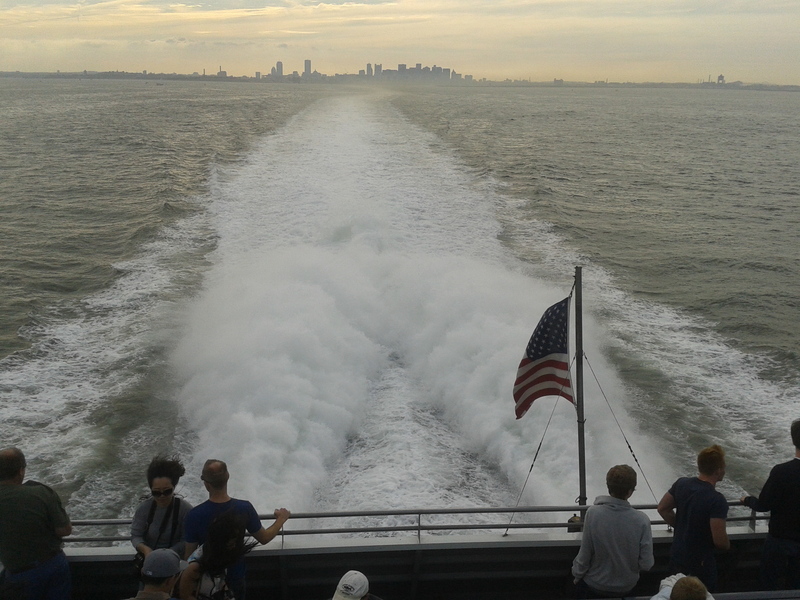 Aboard the New England Whale Watch – a marine attraction that ferries its attendants 30 miles west of Boston Harbor into the open ocean – my travel mates and I endured frigid easterly headwinds as we sought glimpses of humpback whales diving into the cold waters of the Atlantic Ocean. It was a delightful experiences that summoned my sense of adventure and tickled my sense of risk.